IQCS Certification > Software > DOE Simplified, 3rd Edition, Just Published! DOE Simplified, 3rd Edition, Just Published! 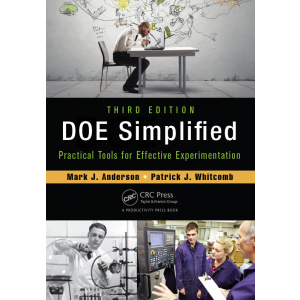 Our principal Stat-Ease Inc. is happy to announce the publication of DOE Simplified, 3rd Edition, coauthored by Mark Anderson and Pat Whitcomb and published by Productivity Press.